Round but not too tight. 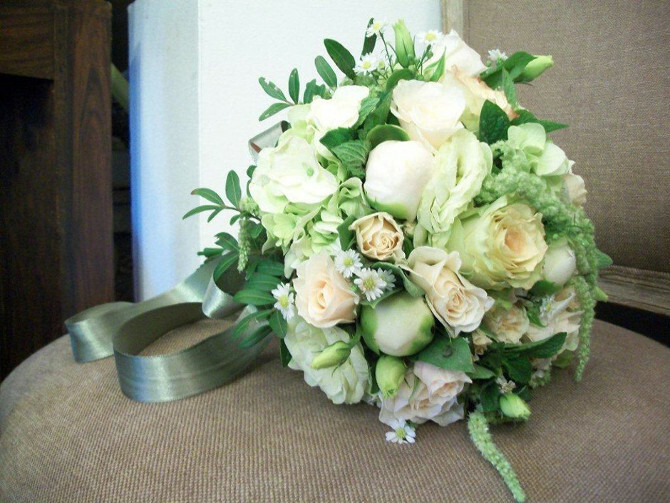 ivory white roses mixed with half open peonies, added with green peas, butter cups and pale pink rosebuds. 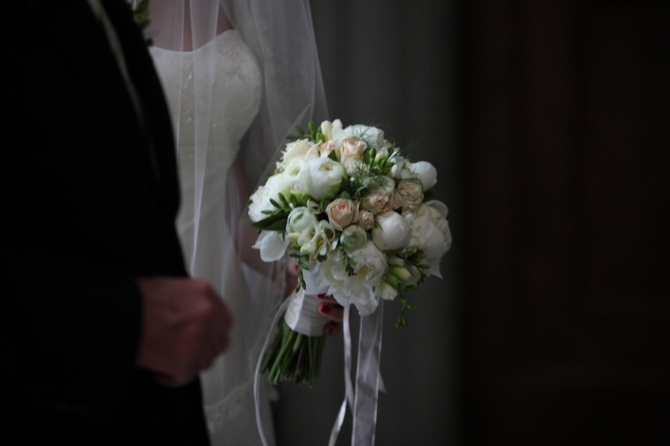 Some branches break the perfectly round structure and give the bouquet life and personality.